Mein Kampf (German: [maɪ̯n kampf], "My Struggle") is an autobiography by the National Socialist leader Adolf Hitler, in which Hitler outlines his political ideology and future plans for Germany. Volume 1 of Mein Kampf was published in 1925 and Volume 2 in 1926. The book was edited by Hitler's deputy Rudolf Hess. Hitler began the book while imprisoned for what he considered to be "political crimes" following his failed Putsch in Munich in November 1923. Although Hitler received many visitors initially, he soon devoted himself entirely to the book. As he continued, Hitler realized that it would have to be a two-volume work, with the first volume scheduled for release in early 1925. 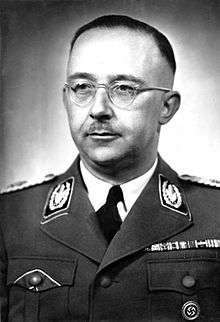 The governor of Landsberg noted at the time that "he [Hitler] hopes the book will run into many editions, thus enabling him to fulfill his financial obligations and to defray the expenses incurred at the time of his trial." In 2016, following the expiry of the copyright held by the Bavarian state government, Mein Kampf was republished in Germany for the first time since 1945. While historians diverge on the exact date Hitler decided to forcibly emigrate the Jewish people to Madagascar, few place the decision before the mid-1930s. First published in 1925, Mein Kampf shows the ideas that crafted Hitler's personal grievances and ambitions for creating a New Order. Historian Ian Kershaw points out that several passages in Mein Kampf are undeniably of a genocidal nature. Hitler wrote "the nationalization of our masses will succeed only when, aside from all the positive struggle for the soul of our people, their international poisoners are exterminated" and in another passage he suggested that "If at the beginning of the war and during the war twelve or fifteen thousand of these Hebrew corrupters of the nation had been subjected to poison gas, such as had to be endured in the field by hundreds of thousands of our very best German workers of all classes and professions, then the sacrifice of millions at the front would not have been in vain." The racial laws to which Hitler referred resonate directly with his ideas in Mein Kampf. In his first edition of Mein Kampf, Hitler stated that the destruction of the weak and sick is far more humane than their protection. Apart from his allusion to humane treatment, Hitler saw a purpose in destroying "the weak" in order to provide the proper space and purity for the "strong". And so we National Socialists consciously draw a line beneath the foreign policy tendency of our pre-War period. We take up where we broke off six hundred years ago. We stop the endless German movement to the south and west, and turn our gaze toward the land in the east. At long last we break of the colonial and commercial policy of the pre-War period and shift to the soil policy of the future. Hitler's later invasions of Czechoslovakia and Poland, and his attack against the Soviet Union directly resonated from his desire for Lebensraum as spelled out in Mein Kampf. Although Hitler originally wrote this book mostly for the followers of National Socialism, it grew in popularity. 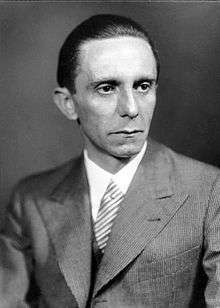 He accumulated a tax debt of 405,500 Reichsmark (very roughly in 2015 1.1 million GBP, 1.4 million EUR, 1.5 million USD) from the sale of about 240,000 copies before he became chancellor in 1933 (at which time his debt was waived). After Hitler rose to power, the book gained a large amount of popularity. 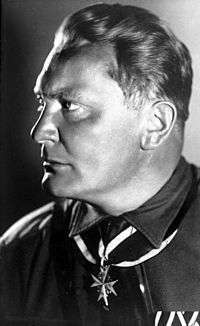 (Two other books written by party members, Gottfried Feder's Breaking The Interest Slavery and Alfred Rosenberg's The Myth of the Twentieth Century, have since lapsed into comparative literary obscurity, and no translation of Feder's book from the original German is known.) The book was in high demand in libraries and often reviewed and quoted in other publications. Hitler had made about 1.2 million Reichsmarks from the income of his book in 1933, when the average annual income of a teacher was about 4,800 Marks. During Hitler's years in power, the book was given free to every newlywed couple and every soldier fighting at the front. By 1939 the book had sold 5.2 million copies in eleven languages. By the end of the war, about 10 million copies of the book had been sold or distributed in Germany. After becoming chancellor of Germany in 1933, Hitler began to distance himself from the book and dismissed it as "fantasies behind bars" that were little more than a series of articles for the Völkischer Beobachter and later told Hans Frank that "If I had had any idea in 1924 that I would have become Reich chancellor, I never would have written the book." There are currently six e-book versions of Mein Kampf available for sale. In 2014, two of these versions reached the 12th and 15th spots on the iTunes Politics and Current Events section. The same year a digital version of the book reached number one on the Amazon Propaganda and Political Psychology chart. The American literary theorist and philosopher Kenneth Burke wrote a 1939 rhetorical analysis of the work, The Rhetoric of Hitler's "Battle", which revealed its underlying message of aggressive intent. The first English translation was an abridgement by Edgar Dugdale who started work on it in 1931, at the prompting of his wife, Blanche. When he learned that the London publishing firm of Hurst & Blackett had secured the rights to publish an abridgement in the United Kingdom, he offered it for free in April 1933. However, a local Nazi Party representative insisted that the translation be further abridged before publication, so it was held back until 13 October 1933, although excerpts were allowed to run in The Times in late July. It was published by Hurst & Blackett as part of "The Paternoster Library". In America, Houghton Mifflin secured the rights to the Dugdale abridgement on 29 July 1933. The only differences between the American and British versions are that the title was translated My Struggle in the UK and My Battle in America; and that Dugdale is credited as translator in the US edition, while the British version withheld his name. Both Dugdale and his wife were active in the Zionist movement; Blanche was the niece of Lord Balfour, and they wished to avoid publicity. Houghton and Mifflin licensed Reynal & Hitchcock the rights to publish a full unexpurgated translation in 1938. The book was translated from the two volumes of the first German edition (1925 and 1927), with notations appended noting any changes made in later editions, which were deemed "not as extensive as popularly supposed." The translation, made by a committee from the New School for Social Research headed by Alvin Johnson, was said to have been made with a view to readability rather than in an effort to rigidly reproduce Hitler's sometimes idiosyncratic German form. The text was heavily annotated for an American audience with biographical and historical details derived largely from German sources. As the translators deemed the book "a propagandistic essay of a violent partisan", which "often warps historical truth and sometimes ignores it completely," the tone of many of these annotations reflected a conscious attempt to provide "factual information that constitutes an extensive critique of the original." The book appeared for sale on 28 February 1939. One of the earlier complete English translations of Mein Kampf was by James Murphy in 1939. It was the only English translation approved by Nazi Germany. The version published by Hutchison & Co. in association with Hurst & Blackett, Ltd (London) in 1939 of the combined volumes I and II is profusely illustrated with many full page drawings and photographs. The opening line, "It has turned out fortunate for me to-day that destiny appointed Braunau-on-the-Inn to be my birthplace," is characteristic of Hitler's sense of destiny that began to develop in the early 1920s. Hurst & Blackett ceased publishing the Murphy translation in 1942 when the original plates were destroyed by German bombing, but it is still published and available in facsimile editions and also on the Internet. The small Pennsylvania firm of Stackpole and Sons released its own unexpurgated translation by William Soskin on the same day as Houghton Mifflin, amid much legal wrangling. The Second Circuit Court of Appeals ruled in Houghton Mifflin's favour that June and ordered Stackpole to stop selling their version, but litigation followed for a few more years until the case was finally resolved in September 1941. Among other things, Stackpole argued that Hitler could not have legally transferred his right to a copyright in the United States to Eher Verlag in 1925, because he was not a citizen of any country. Houghton Mifflin v. Stackpole was a minor landmark in American copyright law, definitively establishing that stateless persons have the same copyright status in the United States that any other foreigner would. In the three months that Stackpole's version was available it sold 12,000 copies. Houghton Mifflin's abridged English translation left out some of Hitler's more anti-Semitic and militaristic statements. This motivated Alan Cranston, an American reporter for United Press International in Germany (and later a U.S. Senator from California), to publish his own abridged and annotated translation. Cranston believed this version more accurately reflected the contents of the book and Hitler's intentions. In 1939, Cranston was sued by Hitler's publisher for copyright infringement, and a Connecticut judge ruled in Hitler's favour. By the time the publication of Cranston's version was stopped, 500,000 copies had already been sold. Today, the profits and proceeds are given to various charities. Houghton Mifflin published a translation by Ralph Manheim in 1943. They did this to avoid having to share their profits with Reynal & Hitchcock, and to increase sales by offering a more readable translation. The Manheim translation was first published in the United Kingdom by Hurst & Blackett in 1969 amid some controversy. A previously unknown English translation was released in 2008, which was prepared by the official Nazi printing office, the Franz Eher Verlag. 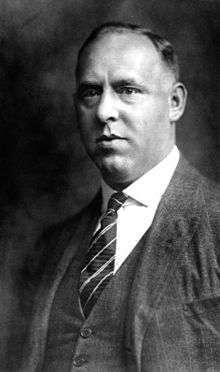 In 1939, the Nazi propaganda ministry hired James Murphy to create an English version of Mein Kampf, which they hoped to use to promote Nazi goals in English-speaking countries. 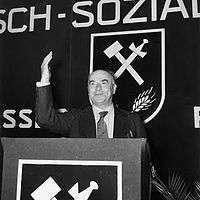 While Murphy was in Germany, he became less enchanted with Nazi ideology and made some statements that the Propaganda Ministry disliked. As a result, they asked him to leave Germany immediately. He was not able to take any of his notes but later sent his wife back to obtain his partial translation. These notes were later used to create the Murphy translation. The Nazi government did not abandon their English translation efforts. They used their own staff to create a new and official translation and it was published in very small numbers in Germany. At least one copy found its way to a British/American POW camp. It is the only official English translation produced by the Nazi government and printed on Nazi printing presses. This copy is known as the "Stalag" edition. Sales of the Houghton Mifflin Dugdale translation in the United States. The first printing of the U.S. Dugdale edition, the October 1933 with 7,603 copies, of which 290 were given away as complimentary gifts. The royalty on the first printing in the U.S. was 15% or $3,206.45 total. Curtis Brown, literary agent, took 20%, or $641.20 total, and the IRS took $384.75, leaving Eher Verlag $2,180.37 or RM 5668. The January 1937 second printing was c. 4,000 copies. There were three separate printings from August 1938 to March 1939, totaling 14,000; sales totals by 31 March 1939 were 10,345. The Murphy and Houghton Mifflin translations were the only ones published by the authorised publishers while Hitler was still alive, and not at war with the U.K. and the U.S. There was some resistance from Eher Verlag to Hurst and Blackett's Murphy translation, as they had not been granted the rights to a full translation. However, they allowed it de facto permission by not lodging a formal protest, and on 5 May 1939, even inquired about royalties. The British publishers responded on the 12th that the information they requested was "not yet available" and the point would be moot within a few months, on 3 September 1939, when all royalties were halted due to the state of war existing between Britain and Germany. Royalties were likewise held up in the United States due to the litigation between Houghton Mifflin and Stackpole. Because the matter was only settled in September 1941, only a few months before a state of war existed between Germany and the U.S., all Eher Verlag ever got was a $2,500 advance from Reynal and Hitchcock. It got none from the unauthorised Stackpole edition or the 1943 Manheim edition. 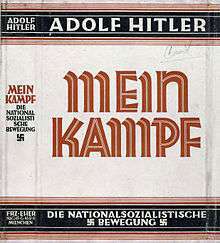 Mein Kampf has been a popular book in India since its first publication there in 1928. It has gone through hundreds of editions and sold over a hundred thousand copies. In the Russian Federation, Mein Kampf has been published at least three times since 1992; the Russian text is also available on websites. In 2006 the Public Chamber of Russia proposed banning the book. In 2009 St. Petersburg's branch of the Russian Ministry of Internal Affairs requested to remove an annotated and hyper-linked Russian translation of the book from a historiography web site. On 13 April 2010, it was announced that Mein Kampf is outlawed on grounds of extremism promotion. Mein Kampf was widely available and growing in popularity in Turkey, even to the point where it became a bestseller, selling up to 100,000 copies in just two months in 2005. Analysts and commentators believe the popularity of the book to be related to a rise in nationalism, anti-U.S. and antisemitic sentiment "because of what is happening in the Middle East, the Israeli-Palestinian problem and the war in Iraq". Doğu Ergil, a political scientist at Ankara University, said both left-wingers, the far-right and Islamists, had found common ground—"not on a common agenda for the future, but on their anxieties, fears and hate". In the United States, Mein Kampf can be found at many community libraries and can be bought, sold and traded in bookshops. The U.S. government seized the copyright in September 1942 during the Second World War under the Trading with the Enemy Act and in 1979, Houghton Mifflin, the U.S. publisher of the book, bought the rights from the government pursuant to 28 C.F.R. 0.47. More than 15,000 copies are sold a year. In 2016, Houghton Mifflin Harcourt was having trouble giving away the profits from sales of its version of Mein Kampf. On 12 December 2013 the Bavarian government cancelled its financial support for an annotated edition. The Institute of Contemporary History (IfZ) in Munich, which is preparing the translation, announced that it intended to proceed with publication after the copyright expired. The IfZ scheduled an edition of Mein Kampf for release in 2016. An annotated edition of Mein Kampf was published in Germany in January 2016 and sold out within hours on Amazon's German site. The book's publication led to public debate in Germany, and divided reactions from Jewish groups, with some supporting, and others opposing, the decision to publish. German officials had previously said they would limit public access to the text amid fears that its republication could stir neo-Nazi sentiment. Some bookstores stated that they would not stock the book. Dussmann, a Berlin bookstore, stated that one copy was available on the shelves in the history section, but that it would not be advertised and more copies would be available only on order. The authenticity of the document found in 1945 has been verified by Josef Berg (former employee of the Nazi publishing house Eher Verlag) and Telford Taylor (former Brigadier General U.S.A.R. and Chief Counsel at the Nuremberg war-crimes trials). ↑ Heinz, Heinz (1934). Germany's Hitler. Hurst & Blackett. p. 191. ↑ Payne, Robert (1973). The Life and Death of Adolf Hitler. Popular Library. p. 203. ↑ Richard Cohen. "Guess Who's on the Backlist". The New York Times. 28 June 1998. Retrieved on 24 April 2008. ↑ "Mein Kampf". Internet Archive. ↑ Browning, Christopher R. (2003). Initiating the Final Solution: The Fateful Months of September–October 1941. Washington, D.C.: United States Holocaust Memorial Museum, Center for Advanced Holocaust Studies. p. 12. OCLC 53343660. ↑ Adolf Hitler, Mein Kampf, Volume Two - A Reckoning, Chapter XV: The Right of Emergency Defense, p. 984, quoted in Yahlil, Leni (1991). "2. Hitler Implements Twentieth-Century Anti-Semitism". The Holocaust: The Fate of European Jewry, 1932-1945. Oxford University Press. p. 51. ISBN 978-0-19-504523-9. OCLC 20169748. Retrieved 9 January 2016. ↑ Joachim C. Fest (1 February 2013). Hitler. Houghton Mifflin Harcourt. p. 216. ISBN 0-544-19554-X. ↑ Timothy W. Ryback (6 July 2010). Hitler's Private Library: The Books that Shaped his Life. Random House. pp. 92–93. ISBN 978-1-4090-7578-3. ↑ Winston Churchill: The Second World War. Volume 1, Houghton Mifflin Books 1986, S. 50. "Here was the new Koran of faith and war: turgid, verbose, shapeless, but pregnant with its message." 1 2 3 "Introduction," Mein Kampf. New York: Reynal and Hitchcock, 1940; pg. viii. ↑ Prefatory Note, Mein Kampf. New York: Reynal and Hitchcock, 1940; pg. 2. ↑ "Introduction" to Reynal and Hitchcock edition, pg. ix. ↑ U.S. Court of Appeals for the 2nd Circuit, Houghton Mifflin Co. v. Stackpole Sons, Inc., et al., 104 Fed.2d 306 (1939); Note, 49 Yale L.J. 132 (1939). ↑ "HOUGHTON MIFFLIN CO. v. STACKPOLE SONS, INC.". ↑ "Kampleman US & International Copyright 1947". ↑ Mein Royalties Cabinet Magazine Online. ↑ TNO Staff—. "Mein Kampf Publishing Furore Heightened with Release of Only Official Translation". The New Observer. ↑ § 64 Allgemeines, German Copyright Law. The copyright has been relinquished for the Dutch and Swedish editions and some English ones (though not in the U.S., see below). ↑ Judgement of 25 July 1979 – 3 StR 182/79 (S); BGHSt 29, 73 ff. ↑ "Jewish Leader Urges Book Ban End", Dateline World Jewry, World Jewish Congress, July/August 2008. ↑ "Archiv – 33/2013 – Dschungel – Über die Wahrnehmung von Faschismus und Nationalsozialismus in Indien". Jungle-world.com. ↑ "Hitler's "Mein Kampf" on India's best sellers list". RT.com. ↑ A well-known historiography web site shut down over publishing Hitler's book, Newsru.com, 8 July 2009. ↑ "Моя борьба". 2009. Retrieved 8 July 2009. ↑ Adolf Hitler, annotated and hyper-linked ed. by Vyacheslav Rumyantsev, archived from the original 12 February 2008; an abridged version remained intact. ↑ Smith, Helena (29 March 2005). "Mein Kampf sales soar in Turkey". The Guardian. London. ↑ "Hitler book bestseller in Turkey". BBC News. 18 March 2005. 1 2 Pascal, Julia (25 June 2001). "Unbanning Hitler". New Statesman. Archived from the original on 5 June 2011. ↑ Boston publisher grapples with 'Mein Kampf' profits Boston Globe Retrieved 3 May 2016. ↑ BEYETTE, BEVERLY (5 January 2000). "Is hate for sale?". LA Times. ↑ "Mein Kampf: Adolf Hitler, Ralph Manheim: 9780395925034: Amazon.com: Books". amazon.com. ↑ "Mein Kampf". Barnes & Noble. 21 October 2010. ↑ "Internet Archive Search: MEIN KAMPF". archive.org. 1 2 Eddy, Melissa (2016-01-08). "'Mein Kampf,' Hitler's Manifesto, Returns to German Shelves". The New York Times. Retrieved 2016-01-08. ↑ "'Mein Kampf' to see its first post-WWII publication in Germany". The Independent. London. 6 February 2010. ↑ Associated Press (5 February 2010). "Historians Hope to Publish 'Mein Kampf' in Germany". The New York Times. ↑ Kulish, Nicholas (4 February 2010). "Rebuffing Scholars, Germany Vows to Keep Hitler Out of Print". The New York Times. ↑ Isenson, Nancy; Reuters (4 February 2010). "German institute seeks to reprint Hitler's 'Mein Kampf'". Deutsche Welle. ↑ "The Kampf for 'Mein Kampf': Annotated Version of Hitler Polemic in the Works". Der Spiegel. 4 February 2010. ↑ "Bavaria abandons plans for new edition of Mein Kampf". BBC News. 12 December 2013. ↑ Logwin, Pierre (20 February 2015). "'Anti-Hitler' Mein Kampf? Germany to republish Nazi leader's manifesto after 70 years". rt.com. Reuters. Retrieved 26 March 2015. ... scholars have heavily annotated the 2016 edition, turning the Nazi leader's infamous manifesto into an "anti-Hitler" text. ↑ Alison Smale (1 December 2015). "Scholars Unveil New Edition of Hitler's 'Mein Kampf'". The New York Times. ↑ Vanessa Thorpe. "British Jews give wary approval to the return of Hitler's Mein Kampf". The Guardian. ↑ "High demand for reprint of Hitler's Mein Kampf takes publisher by surprise". The Guardian. 8 January 2016. ↑ "Copyright of Adolf Hitler's Mein Kampf expires". BBC News. ↑ "Mein Kampf hits stores in tense Germany". BBC News. Shirer, William L. (1960). The Rise and Fall of the Third Reich.